Am I eligible for the INSC program ? 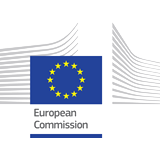 This training course is organised in the framework of the Instrument for Nuclear Safety Cooperation of the European Commission. The module consists of 5 days of training, which will cover the following subjects: • An introduction to regulatory inspection, • Regulatory inspection related to protection of members of the public and the environment, • Regulatory inspection related to operational radiation protection. A number of practical exercises will take place during the week in which participants will work in groups to address issues related to the subject matter being presented. Each day will have a summary session to enable general feedback and discussion of the topics covered during the day. A round table discussion session will take place at the end of the module to address issues identified by participants. The module will be concluded with an evaluation of the module. At this time, the participants’ impressions of the module will be gathered and the satisfaction of the needs expressed on the first day of the training session will be reviewed.